Raxxess - Rack Screws -Bag of 25 Stock up and save! Bag of 25 rack screws with washers. Gator - GRW-PNLSTFT1 Rackworks Steel Flat Panel, 1U has created the ultimate solution to protect your rack gear with their Rackworks Steel Flat Panels. Raxxess - HH2 Rack Headphone Hanger A convenient way to hang headphones. 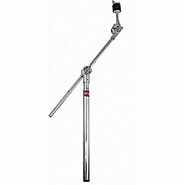 The HH-2 projects out at a right angle taking the place of any rack screw already in your rack. Screw it in until it is in the desired position and tighten up the nut. 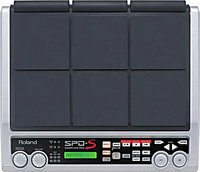 On-Stage - WSA7500 Rack Mount for WS7500 Customize your studio set-up. Gator - GRW-PNLSTFT2 Rackworks Steel Flat Panel, 2U has created the ultimate solution to protect your rack gear with their Rackworks Steel Flat Panels. Gator - GRW-PNLVNT1 Rackworks 1U Flanged Vent Panel Constructed of cold rolled 16 gauge steel this Gator Rackworks Slotted Panel features elongated vent holes and is flanged for rigidity. Gator - GRW-PNLSTFT3 Rackworks Steel Flat Panel, 3U has created the ultimate solution to protect your rack gear with their Rackworks Steel Flat Panels. Gator - GRW-PNLVNT3 Rackworks 3U Flanged Vent Panel Constructed of cold rolled 16 gauge steel this Gator Rackworks Slotted Panel features elongated vent holes and is flanged for rigidity. Raxxess - AFT Aluminum Blank Rack Panel (2 Space) .125 aluminum; easily machined; available in 1 through 4 rack space versions. Black brushed anodized. Apogee - Element 46 Rack Mount Kit Attach your Apogee Element 46 to your rack with the E 46 RE! Samson - SRK Universal Rack Shelf, 2U The Samson SRK 19 universal rack shelves provide convenient placement and accessibility for your non-rackmountable gear. Moog - Ecosystem 2-tier Rack Kit for Mother-32/DFAM Synth Setup your dream Moog Synthesizer rig with the 2-tier Rack Kit for Mother-32/DFAM. Moog - Ecosystem 3-tier Rack Kit for Mother-32/DFAM Synth Setup your dream Moog Synthesizer rig with the 3-tier Rack Kit for Mother-32/DFAM. Samson - SRK Universal Rack Drawer, 2U Create the Space. Samson - SRK Universal Rack Drawer, 3U Create the Space. Electro-Harmonix - Iron Lung Vocoder Pedal The EHX Iron Lung is a versatile and easy to use vocoder in a compactpedal format. 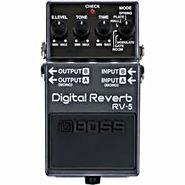 Musicians no longer need large rack equipment computer plugins or large keyboards to get a wide array of classic and modern vocoder sounds. 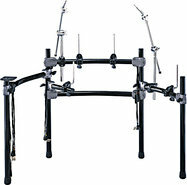 Samson - SRK Pro Studio Universal Equipment Rack, 12-Space The Racks Are Back! 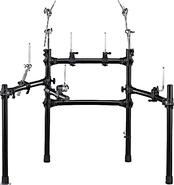 Samson - SRK Pro Studio Universal Equipment Rack, 16-Space The Racks Are Back! 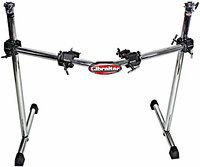 Samson - SRK Pro Studio Universal Equipment Rack, 21-Space The Racks Are Back! BEHRINGER - The Behringer X18 Digital iPad/Tablet Mixer is an incredibly powerful rack-mountable mixer that will forever change both the way you record - and the way you play live music. Radial - Workhorse SixPack - Portable 6 Slot Power Rack The SixPack is a desk-top power rack for 500 series modules that lets you mix and match up to six modules and safely power them to create a stereo channel strip or unique signal chain. PreSonus - Studio 192 USB 3.0 Audio Interface The PreSonus Studio 192 is the first USB 3.0 audio interface to deliver exceptional sonic fidelity and flexible connectivity in addition to professional monitoring and mixing controls in a single rack-space. Radial - Workhorse&trade; 500 series 8 slot rack with 8x2 s The Radial Workhorse is a modular rack and mixer that combines the popular 500 series platform with an incredibly flexible patching system to let you create the ultimate studio environment. Radial - Workhorse&trade; 8 Channel Rack with 2 Summing Mix The Radial Workhorse is a modular rack and mixer that combines the popular 500 series platform with an incredibly flexible patching system to let you create the ultimate studio environment. Allen and Heath - Qu-Pac 32 Rack Mount Digital Mixer Qu-Pac frees you to mix from your iPad but the full functions of the mixer can also be accessed from the front panel and touchscreen.